When a young boy discovers that his father is an enforcer for the mob, he puts both himself and his Dad in dire jeopardy. There’s a famous Japanese Manga comic called Lone Wolf and Cub about an outlaw Samurai who slays a slew of opponents while nurturing his infant son. The story inspired an American graphic novel by Max Allen Collins called Road to Perdition and the film adaptation by director Sam Mendes is a picture perfect study in brooding menace. Tom Hanks plays Michael Sullivan, a dour man who enforces the law of his Irish boss John Rooney (a playful if murderous Paul Newman). Michael is like a son to John, almost more so than his own son Conner (an impetuous Daniel Craig). And Michael’s sons are like hisgrandsons too, but when one of them witnesses a shooting all bets are off. Michael and Michael Junior (Tyler Hoechlin) are forced to hit the titular road to Perdition, a literal town in Illinois and a metaphorical place resembling Hell. En route they pay a visit to Al Capone’s second in command Frank Nitti (Stanley Tucci) who’s presiding over the sly grog trade in Chicago. But finding no comfort there, Michael Senior determines to bring the entire mob down with the aid of his new 12 year old accomplice. In between reading The Lone Ranger, Junior becomes Senior’s side-kick Tonto, watching his back and even driving the get away car. Hot on their heels is the rodent-like Maguire (a creepy Jude Law) who takes photographs of victims of crime, preferably at the moment of death. As he puts it, he shoots the dead. If Junior didn’t know what his dad did before, he sure knows now, in grim detail. 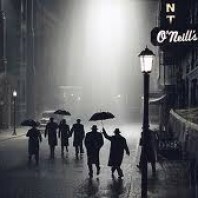 Loosely based on a real mob enforcer for the Rock Island branch of the Chicago mob operating during the height of the depression in 1931, the film is dedicated to cinematographer Conrad Hall who shot that 1967 crime classic In Cold Blood and who Mendes worked with previously on his debut feature American Beauty. 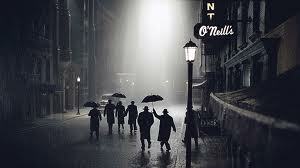 This was Hall’s last film and it earned him a posthumous Academy Award with all its sombre lighting and rain soaked set pieces. It was also the last on-screen performance of Paul Newman who scored an Oscar nomination for Best Supporting Actor. This is a story about fathers and sons, and the ties that bind them, be they of blood or loyalty. It’s also about how the sins of the fathers can be visited upon the sons and how they must finally choose their own road. It spans six weeks of a bitterly cold winter and there are only momentary glimpses of sunshine in the relationship between the two Michaels. But what the younger learns in that short period, is more than most people do in a lifetime.